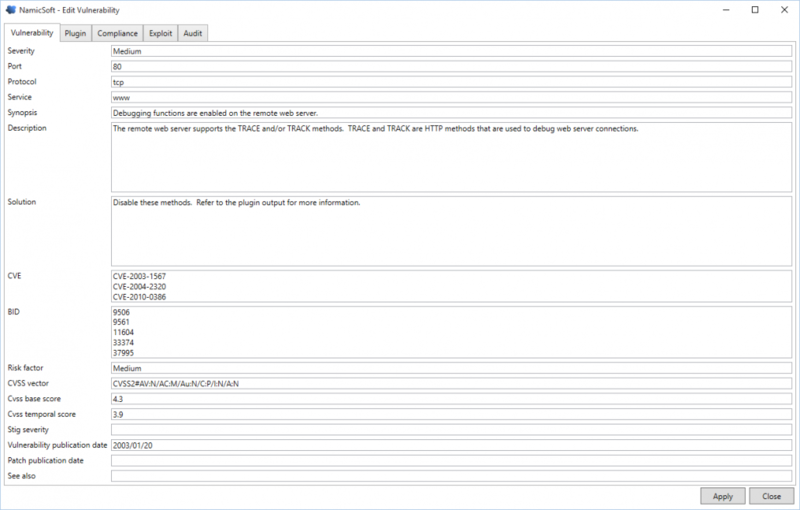 Below are a few example of the feature in NamicSoft. Download the demo and try NamicSoft out. If you have any questions or feedback, please contact us at info@namicsoft.com. 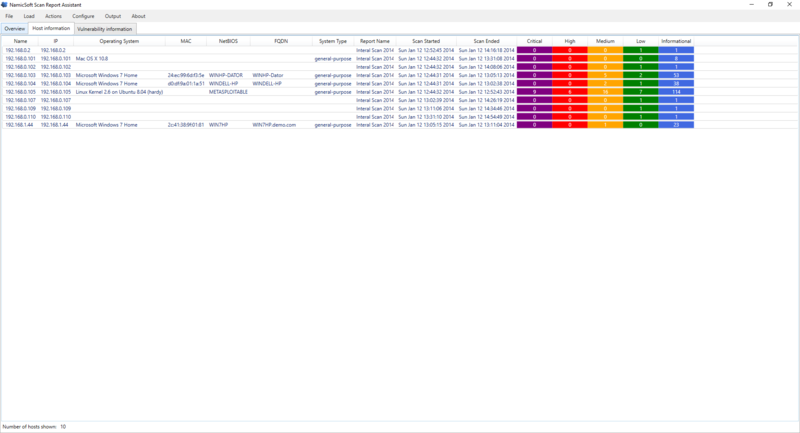 Create a Word report from your Nessus scan using a NamicSoft template. You can either use one of NamicSofts built-in template, or you can customize your own. See template design for more information. Merge results from your different vulnerability scans. You can merge on IP, hostname or by using your own custom mapping. Manually edit your scan result to .e.g. change a or multiple vulnerabilities severities. 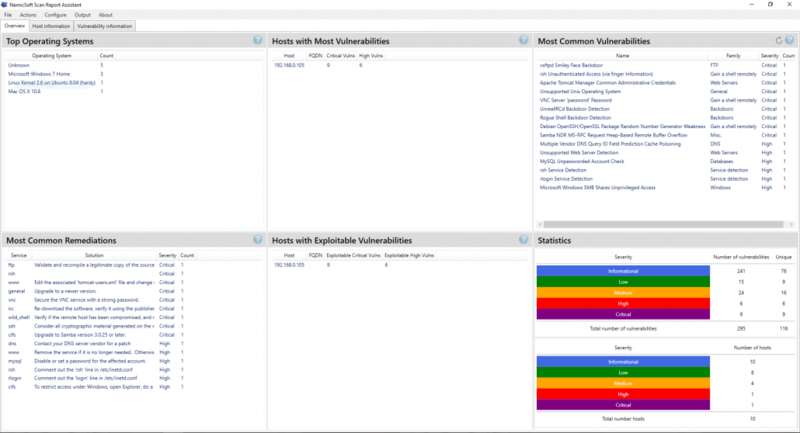 There is also support for adding an audit trail to each vulnerability. NamicSoft does have a powerful rewrite function which allow you to change the output from NamicSoft using your own translation database. Can e.g. be used to create reports in another languange or to change the output to align with your company’s standards. Compare results between scans. The difference between the scans is exported to Excel where you can see which vulnerabilities that are new. Create reports from the command line and integrate NamicSoft in your scripts. Below are screen shots from NamicSoft. Please download and try the free demo to see NamicSoft in action.